Biblical Feminists will admit that they are Christians and that Jesus Christ died for their sins and rose again but they don’t believe in the inerrancy of the Word of God, especially when it comes to issues concerning women. They claim the verses for women are cultural or the original Greek means something other than the Bible clearly states. Biblical Feminists are the ones who have the hardest time with what I write and slander me the most. They don’t want to believe that women are to submit to and obey their husbands because this always leads to abuse nor do they want to be considered “less than” their husbands although they have no problems with obeying a boss. No, they believe in mutual submission so then, if they believe in mutual submission, are they doing their part and submitting to their husbands even if their husbands don’t submit to them? I doubt it. They believe that young women being told to be “keepers at home” doesn’t exclude full-time careers, putting their children in daycare, and whatever else it takes for women to pursue their dreams and goals apart from being home. They will give you a long laundry list of “career” women in the Bible. They don’t believe that children are a blessing. They believe in birth control and many are even fine with abortions since women should be able to have control over their own bodies and our world is overpopulated. They persistently and aggressively tell me how horrible I am to hold this view. When I ask for a verse that supports a woman divorcing over physical abuse, they can’t give me one. They then accuse me of telling women who are being beat up by their husbands to stay with them when I have never supported this. If a woman is being physically abused and lives in fear for her life because of her husband and decided to divorce him, I wouldn’t blame her but I can’t support a divorce for this reason from scripture. Everything I teach, I want to have support from the Word of God and not what I feel or think is best. Biblical Feminists don’t do this. They are the deciders of what is right and best because they falsely think they know better than God. I believe in spanking a disobedient child. They will call this abuse and teach that spankings will cause children to grow up to be violent. Most of their views are completely opposite of what the Bible actually teaches. They will use this one verse to wipe out all of the verses directed to women: “There is neither Jew nor Greek, there is neither bond nor free, there is neither male nor female: for ye are all one in Christ Jesus” (Galatians 3:28). No, this verse doesn’t negate all of the verses for women. It gives the Good News that we can all have eternal life if we believe in Jesus Christ as our Savior. I would rather err on the side of believing and obeying the Word just as it is written instead of trying to manipulate it to say what I want it to say. I trust God. I trust that He knows what is best. 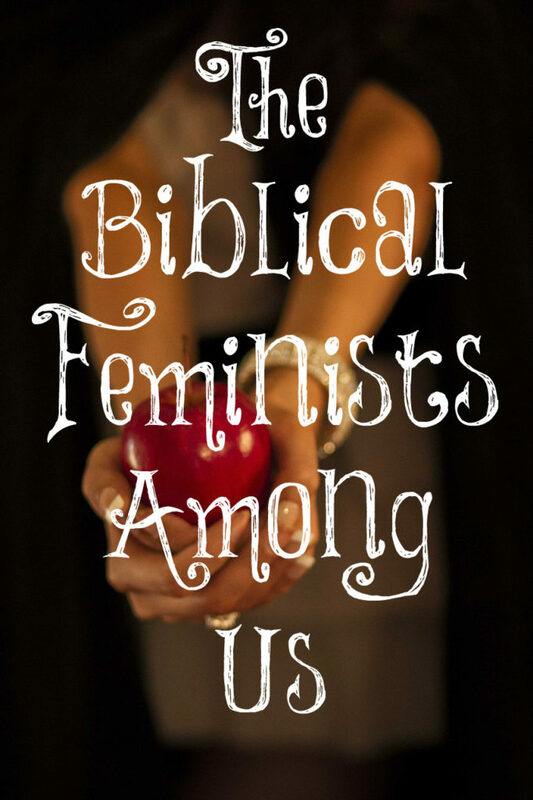 I am not a Biblical Feminist and I will never support how they interpret Scripture. If you don’t like what the Bible has to say about women, I am not the woman you want to learn from. I can see this is a very controversial topic so I am going to share my story. I am 44 years old and have been happily married for 25+ years. My parents will be celebrating their 50th anniversary later this year. Many people who know my father would never guess in a million years that he was physically abusive to my mother when I was a child and early adolescence. My parents both loved each other dearly, and I never really questioned that. But my father had a violent temper and could erupt at the slightest thing. The summer before my 7th grade year he had the worst violent episode and put my mother in the hospital. She was even on the news (her face was blurred for her privacy) during this time while she was in the hospital. This was during the mid 80’s when the media was raising awareness of domestic violence. My mother filed for divorce after this. But…she loved my father and somehow I knew he loved her. I know that sounds strange but I knew they were miserable without each other. They remained divorced over the next 18 months..but..just a few months into the divorce my father started coming over to the house to visit us and before too long (probably just a few months) he moved back in. They remarried the following year and my father has not once touched or harmed my mother since that day she was in the hospital. My point is this…God can work miracles if your willing to let him. My parents were Christians long before they were married and I know it was their faith that got them through all of it. My father needed the jolt of the divorce to wake him up to the fact that he could absolutely not hurt my mother ever again. I’m not condoning the divorce, possibly an extended separation could have done it, but I know without a doubt that the choice they made to stick it out and my mothers forgiveness of my father has shaped and influenced many decisions in my life and the person I am today. There is no doubt that my life would be so different today if our family had remained broken. They aren’t perfect and have had their ups and downs over the years but every year on their anniversary I have the opportunity to thank them for sticking it out and staying married and giving us this legacy. Sometimes it is painful to relive that time in our lives, but God has covered it all with his love and grace that none of us deserve but that he so freely gives. I only share this to bring hope to someone who may be in a situation like this. I realize every situation is different but my family is living proof that God can do the impossible! Amen and thank you for sharing, Natalee! With God ALL things are possible and no one is beyond His transforming power. Hi there Lori, I am printing this off to read in the lounge-room where it is comfy and I must say I am looking forward to reading it!! Your posts have blessed me to no end for quite awhile now, thank you! I’m sure “mutual” submission actually means the Christian “feminists” wives are actually running the marriage. There husbands are submitting to them. It probably works okay if you are married to a Beta male. Yes, most likely since most women want to be in control and usurp the authority of their husbands which is destructive to marriages. Thank you, Katy. They regard “equality” with men a “right” which it is not. God created us differently for different and wonderful purposes but they don’t like these differences and purposes so they distort scripture to get what they want. They talk about how they have always felt that women should be leaders in a church and have cited scripture to support it, as well as scriptural support for women working outside the home. They’ve already stated that when the time comes to have children, the husbands will stay home to raise them since the women make exceptionally more in their careers. I would love to know their stance on issue like abortion. We all know that feminists are pro-choice, but Christians are pro-life. How can they be both? I’m not sure one can be for abortion and truly be a Christian. How can one be for murder and be a Christian? A baby is not a part of their body. It’s in their body and a separate unique human being. It’s so confusing how anyone could actually not understand that abortion is murder. Aren’t there enough studies to show that it is a life… and that it is being ended? So sad. I am so sorry you have to deal with haters that have nothing to do but spew hatred. People- when you don’t agree with someones opinion, MOVE ON! It’s amazing that people take the time to respond with hate. Is that how they treat their husband or parent when they disagree with what they say? Bottom line, you will never agree 100% of the time. As far as the physical abuse, what I have seen in my 50 years is women being abusive to men. I have seen women throw glasses, punches and flip tables when things aren’t going their way. I’ve wondered how and why the guy has put up with this behavior. I’m sure there are cases where the man is abusing his wife but what I see is spoiled rotten, tantrum throwing women that want equal rights. All I want to say to them is “get over yourself, stop acting like a brat and read the transformed wife blog”. I thank you so much for your blog, please don’t give up. Just pray that these haters will wake up one day and see the error of their ways! You laid it all out perfectly, according to scripture, Lori. Hold fast. Love to you! I appreciated Natalee’s story so much! Thank you, Natalee! PLEASE CONTINUE TO ADHERE TO THE WORD OF GOD. It is so refreshing to find a Christian blog that puts the word of God above everything! My grandfather was abusive to my grandmother during a time in their marriage. His actions were culturally influenced, as it was the norm in his country. Over the course of their marriage, and after me and my brother being born, he changed. She also became a christian and became more submissive, which ironically caused more peace. I love my grandpa to death, hes taught me a lot. Especially that men can change. I am grateful they never divorced, because they gave me an example of a dedicated, honorable marriage that overcame all. When I wasn’t Christian I used to look at all the people who called themselves Christian who didn’t follow the Bible or were immoral and thought, I don’t want to be Christian if that is a Christian. What I didn’t get was that just because someone says they are Christian, doesn’t mean they are living the Bible. I get it now. When I first became Christian I thought of all the Christian women I know who I thought could become good friends now but I’ve since come to realize they aren’t all real Christians. I wish I had a real Christian for a friend. Not a biblical feminist. Hi Lori, my goodness I’ve missed the unabashed truth in your writing! I’ve been on a kind of “R & R” from marriage research, writing and blogging since 2017, but am slowly starting to gear up again! I’ve missed all my friends that are committed to preserving Biblical marriages, thanks for your efforts. What I’ve discovered is that these women that refer to themselves as ‘christians’ are the false believers that almost every new testament writers speak of. They only “take” from the faith to live in the here and now. Claiming Jesus Christ as their savior ONLY but never as their Lord, thus showing everyone they’ve built on sand and thereby not really doing any Kingdom work for the future. 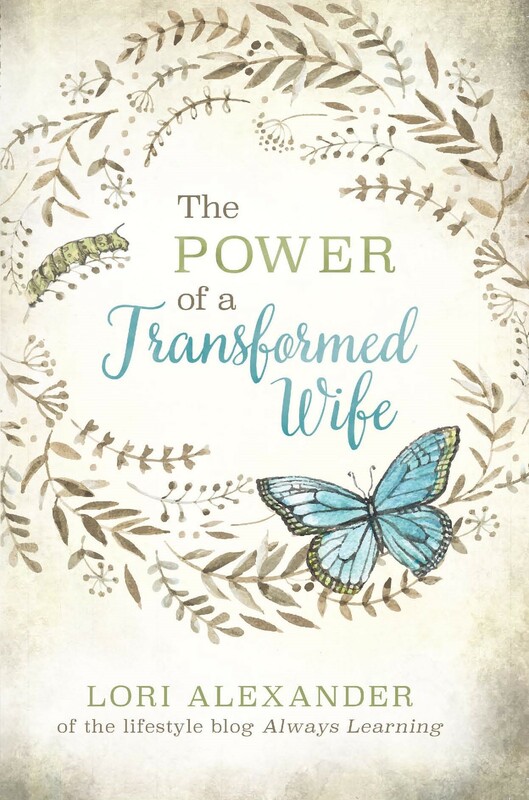 They demonstrate their false belief by and inability to align their lives under, not only their husbands … but God Himself — hating any authority.